Mail Your Tax-Deductible Contribution Today! Event sponsorships are great public relations and lots of fun! Be part of "Making a Difference" by becoming part of Team Wags and Menace at one of your next events. You can email Cindy Lee by visiting our Contact Us page and we can send you all the information needed. Other ways to find us! Wags and her brother Menace created the Wags & Menace Make a Difference Program Foundation in 1996. With the help of their owner, Cindy Lee, they raised money and awareness for three animal shelters and an animal hospital to help homeless animals to get well and get adopted. They also welcomed numerous homeless animals to stay overnight with them so Cindy Lee could present them on Petline 9. Every animal presented during the past eight years has been adopted. 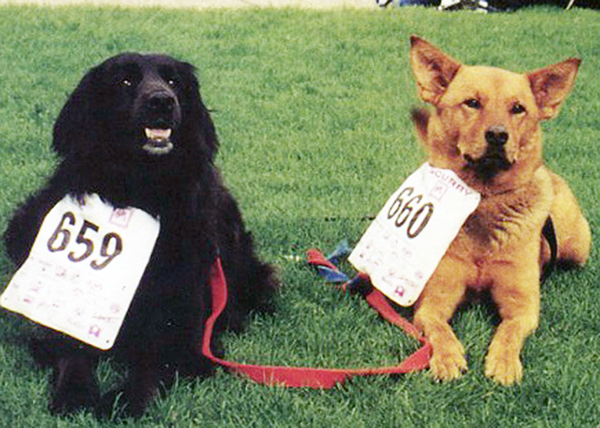 Wags and Menace - and Cindy - were the very first “Leaders of the of the Pack” at the 2000 Furry Scurry, benefiting the Denver Dumb Friends League. They became the first ever back-to-back “Leaders of the Pack,” raising $14,000 in 2006 to lead the Furry Scurry in 2007, and raising over $35,000 in 2007 to lead the race in 2008. Cindy is now one of the top individual fundraisers in the nation for a single event. Additionally, they raised over $5,000 in 2006 and lead the Wag’N Trail in 2007, benefiting the Buddy Center in Castle Rock. This is the first time Denver Dumb Friends League has ever had the same person lead both races. Wags & Menace even created and sold their own calendar and raised over $6,000 that was donated to Denver Dumb Friends League as a memorial to Nick Petry, Cindy Lee’s godfather. Wags became a Certified Therapy Dog, visiting hospitals, schools and libraries. She developed her own fan club, full of people who felt better at the hospital or nursing home because of her visit, children learning more about animals in classrooms and libraries, and challenged children who became interested in reading because Wags was there to encourage them. In December, 2006 Channel 9 aired a story about Wags & Cindy, highlighting the therapy dog whose therapy sessions became therapy for herself. Wags and Menace participated for many years in the Mutts & Models Fashion Show, benefiting Harrison Memorial Animal Hospital, and have sponsored an exam room there for many years. In 2000, Cindy Lee inspired and helped create the Pets & Vets program. To date, over 1,000 Girl Scouts have completed the one-day program, learning from Cindy and others about furry first aid, veterinary careers, animal awareness and education, and earning a pet merit badge in the process. Cindy and Wags & Menace volunteered for over 13 years at Good Samaritan Pet Center, becoming involved in many fundraising events and raising money to provide medical care for many foster animals. 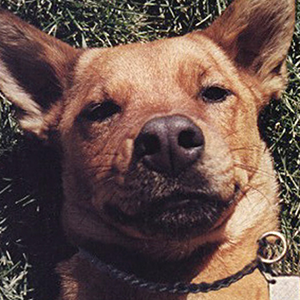 Wags eventually developed lymphoid cancer, endured months of treatment, and succumbed in January 2006. She helped raise hundreds of thousands of dollars over her 11-year lifetime to help animals, and is sorely missed by all who knew her. Wags truly made a difference for children, including hundreds of special needs kids. 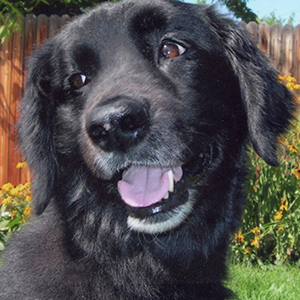 In 2006, Cindy Lee adopted Baxter, a Newfoundland/Border Collie mix. Sadly, Baxter only had six months to learn the ropes of the foundation from Menace, who passed away later that year. When Cindy and Baxter met, he was six months old and weighed only 24 pounds, having suffered severely from previous cruelty and abuse. 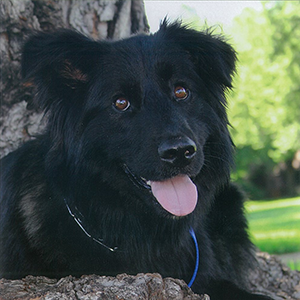 As new CEO of the Foundation, Baxter is happy, healthy, and on his way to certification as a Therapy Dog. He will continue the legacy of service begun by Wags & Menace.Cindy Lee has been an animal lover her whole life. Born and raised in Connecticut, she moved west, attended and graduated from Denver University, and has been here ever since. 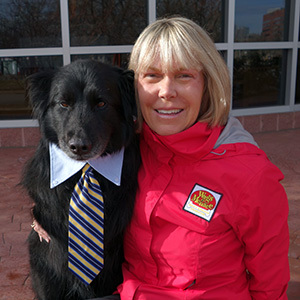 In 1996 Cindy began volunteering with Denver Dumb Friends League, Table Mountain Animal Center, Harrison Memorial Animal Hospital and Good Samaritan Pet Center, and has wholeheartedly supported Wags & Menace, Baxter, and their Make a Difference Foundation ever since. Inspired by her rescued dogs, her dynamic enthusiasm has brought hundreds of others into their efforts to help animals here in Colorado.